This is the pork chop recipe you want to make if you're looking to impress. 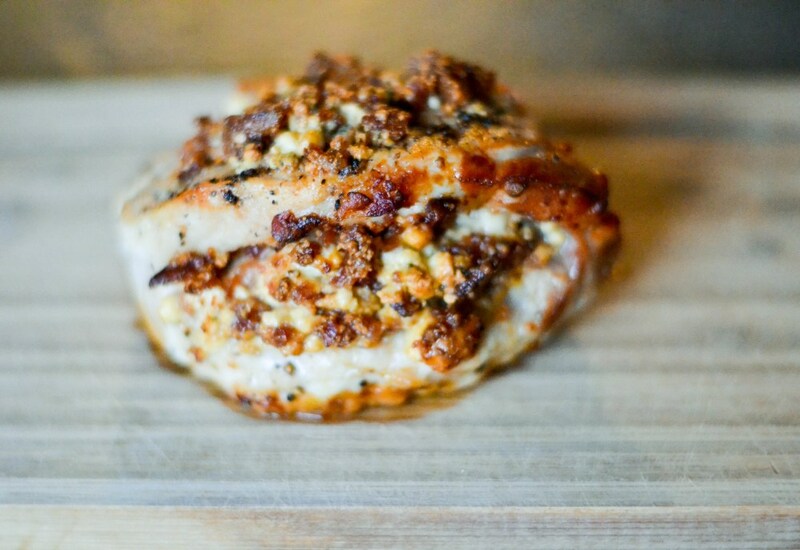 Serve these bacon and blue cheese stuffed pork chops for a date night or any special occasion. Stuffing the chops looks like a cheffy pro move—that you've got skills and made the extra effort. But, between us, this step is actually pretty simple. The other bonus: stuffing the pork helps keep the inside juicy, which is one of the challenges of cooking pork chops. We'd call this a win-win all around. To take the pork chops to the next level, brine them overnight (up to 12 hours). They're be even juicier and seasoned throughout. For additional apple flavor, top the chops with apple butter. For another great pork chops recipe, try our pressure cooker pork chops and apples. Per Serving: 448 calories; 29g fat; 1.2g carbohydrates; 45g protein; 131mg cholesterol; 1082mg sodium. I don't even eat pork but I LOVE this recipe!! Mouthwatering! The blue cheese and bacon flavors are awesome. These stuffed pork chops gave me life! We picked out thick chops so we could get a lot of stuffing in them, and they turned out so delicious and flavorful. Love the saltiness of the pork together with the blue cheese crumbles. Definitely going to make these again. This bacon and blue cheese stuffed pork chops were amazing! They were also so easy to make. My husband absolutely loves them, he's begging me to make them again. I didn't think I would like the blue cheese, but it's so good!